Cheap, effective and already on hand: Problem-solvers don’t get any better than these. Add some creativity, and you’ve got winners for outdoor life. Watering can even has a lovely string for hanging when not in use. I looked around one day and realized that I had amassed a ridiculous number of plastic cat litter jugs. Surely they have more than one life. Aha! A watering can! To transform the jug, I screwed on the cap, then drilled 3/8-inch holes through it with my trusty old Black & Decker electric hand drill. All the holes were placed on the outside half of the cap, the portion where water would hit first when the jug was tipped. Is that a skirt or a sun shade? Imagine you are crossing the searing sand, no trees in sight, your skin stinging under the sun. It’s easy to picture when you’re at the beach – and the beach is the perfect spot for assembling one of the simplest yet most romantic ways of shading yourself. First, you need a breeze. This won’t work without one. Next, you need two poles. Panel curtain folded in half under light breeze. I use bungeed tent poles, but they could as well be bamboo found at the outlets of streams or even a couple of nice branches about 3 or 4 feet long. Finally, you need cloth – not too big or too heavy. A batik sarong works well for this, as does a 63-inch or 84-inch lightweight panel curtain. I picked up a hot-pink chiffon panel and a leopard-print chiffon panel to use together, each about $3 at Big Lots. and the other corner of the short side to the other pole. (Not a knotter? 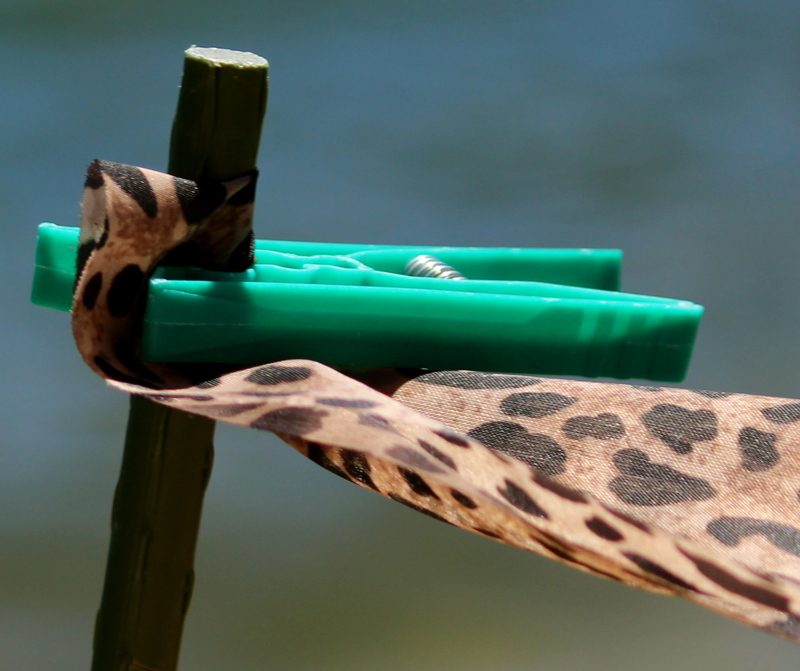 Use spring-type clothespins to clip the corners securely to poles.) Adjust the distance between the poles to get rid of the slack, and let the fabric fly in the breeze. 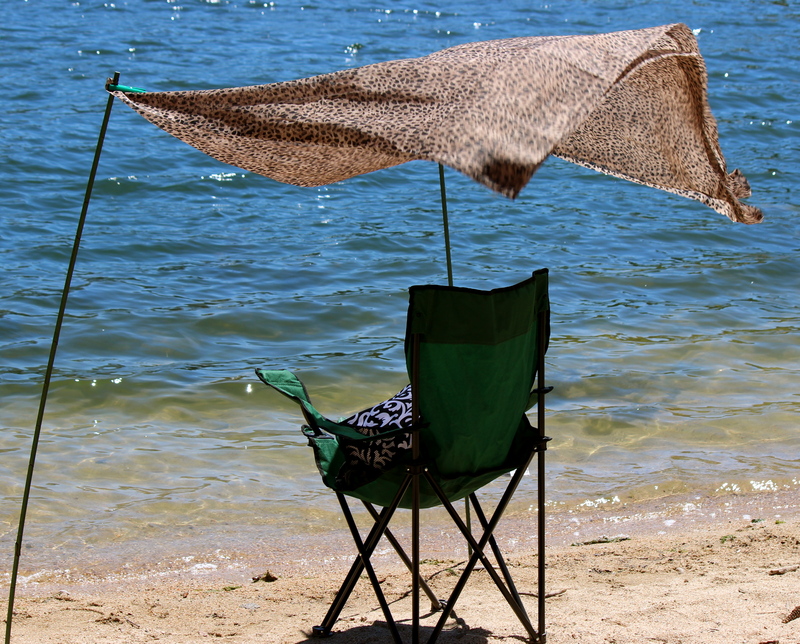 Spread your blanket in the shade of your oasis. It’s like a shark cage to lavender and butterfly bush. deterrents work only temporarily on gophers, moles and voles before they figure out that a buffet still awaits them – unless their little teeth bump into protective wire around the plant roots. Making gopher baskets out of hardware cloth or hex wire gets tedious. 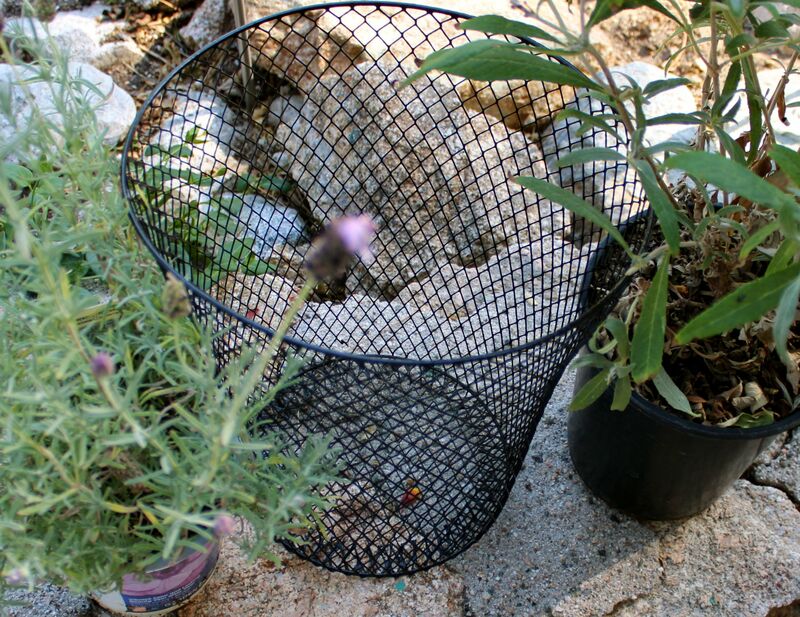 Buying ready-made gopher baskets gets expensive — $6 for a pack of two to fit transplants from gallon-size pots. Just when you feel like surrendering to the underground world and sticking fake bouquets from the dollar store in your garden – try chewing on that, Mr. G! – a solution appears: The dollar store also sells coated-wire wastebaskets. They’re made of the same gauge of wire as ready-made gopher baskets, and they’re big enough for plants from 1- and 2-gallon pots. I found them at Dollar Tree but only by online order in a carton of 48; if you don’t need so many, try getting a friend to split a carton with you. I can hardly wait to get my plants into those wastebaskets and into the ground. We still have a lot of growing season left in the mountains. When I pick the harvest, I’d like to sit right there in the garden and eat it in front of the gophers. Or in back of them. It’s hard to tell where underground they are when a wire basket prevents them from getting the harvest first. Tip: When using gopher baskets, plant them in the hole so that 1 to 2 inches stick up from the ground. This provides a barrier to voles, who do some above-ground work on plants. Would love to see a photo of the sun shade skirt. 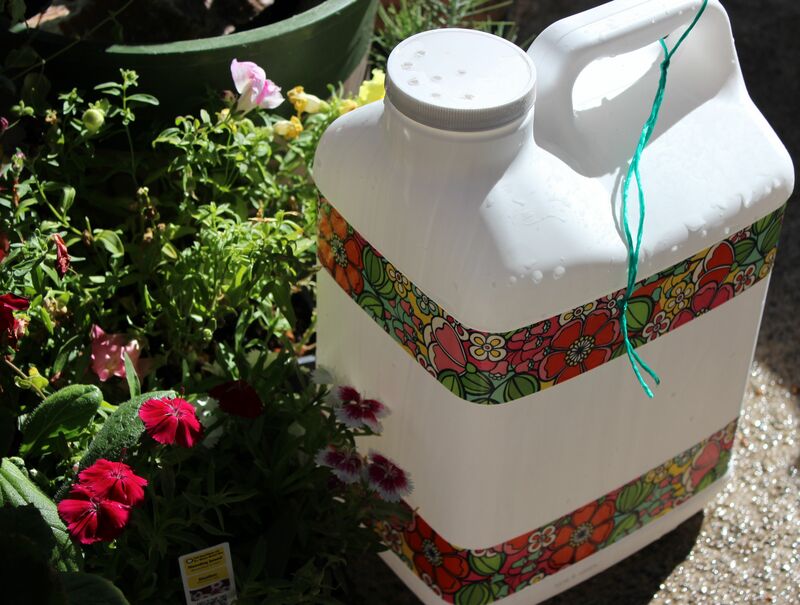 Really useful recycling blog. Lizard, I’m going to have to try the photo again tomorrow at a better usually breezy spot. Sorry for the delay! We’ve just happened to hit a spell of hot weather without much wind. We have a lot of problems with gophers in our upstate New York garden. I never head of gopher baskets. Not sure if I’ve seen the wastebaskets at the dollar store – I am going to have to check this out. Thank you! Alana, you’re welcome. Gopher baskets will change your gardening life for the better.